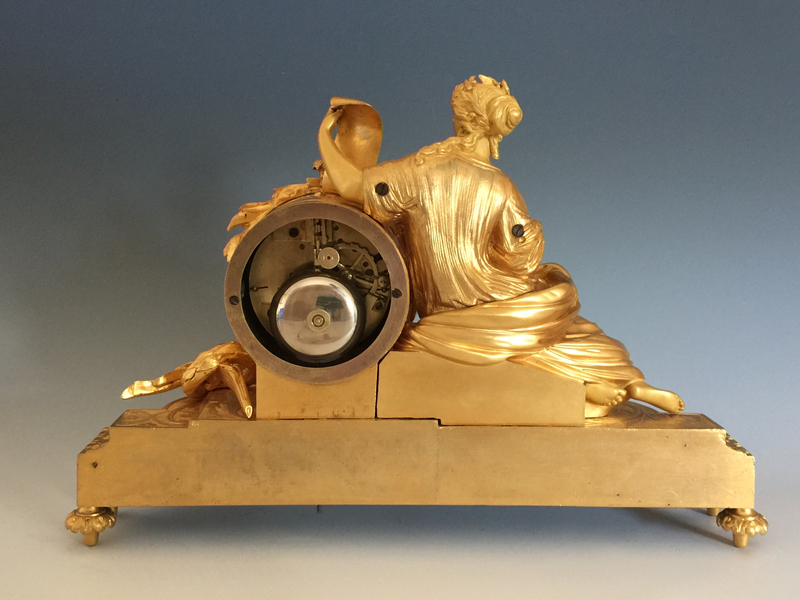 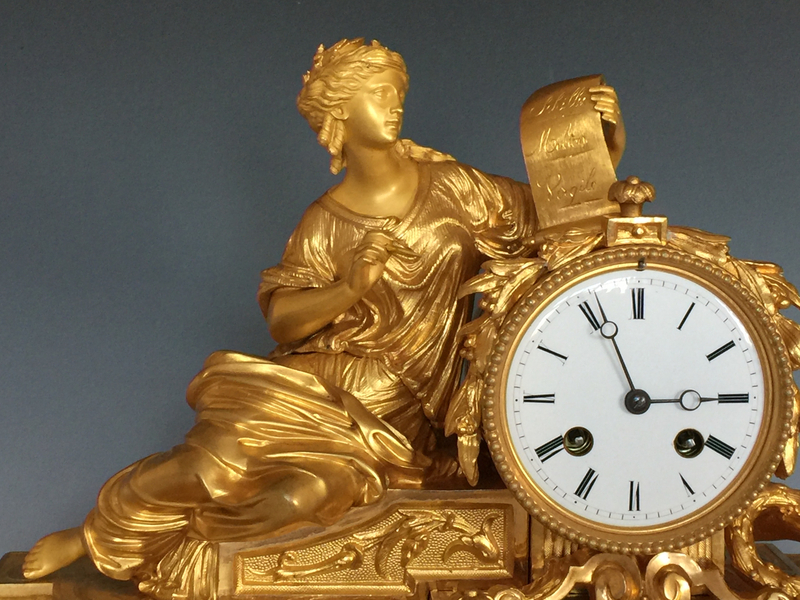 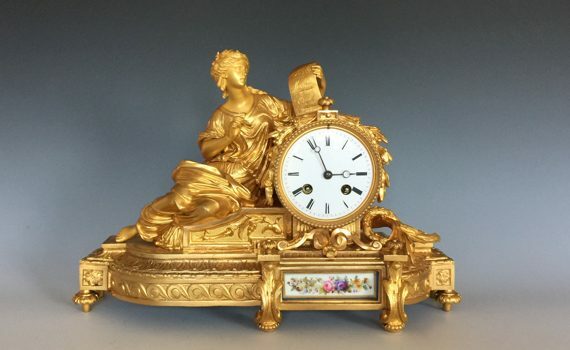 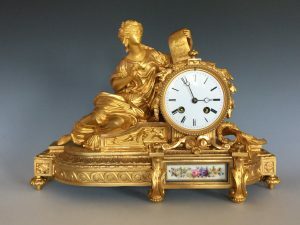 A Napoleon III gilt bronze mantel clock in the Louis XVI style. 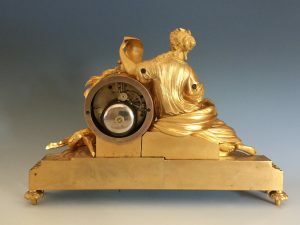 The seated figure of the muse Clio reading from a scroll, supported by a shaped platform base standing on toupie feet. 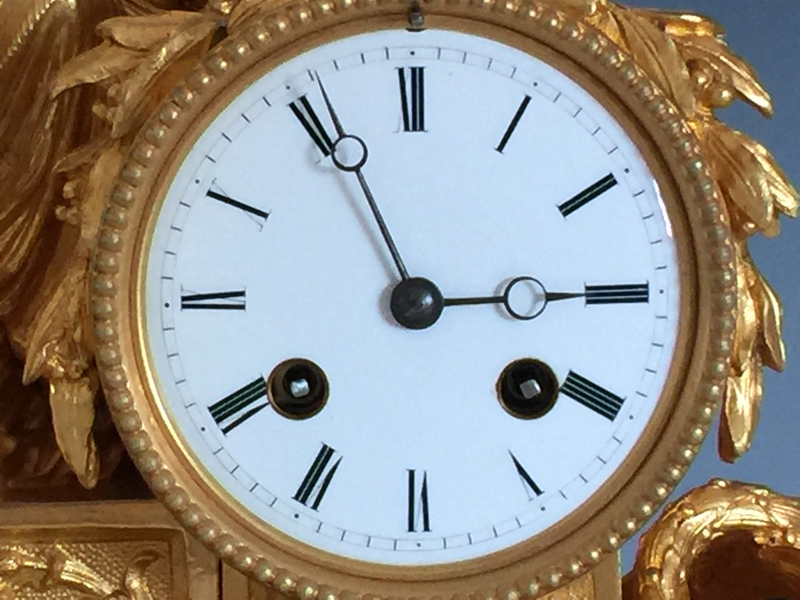 The white enamel dial with roman numerals, above a floral painted porcelain panel to the frieze. 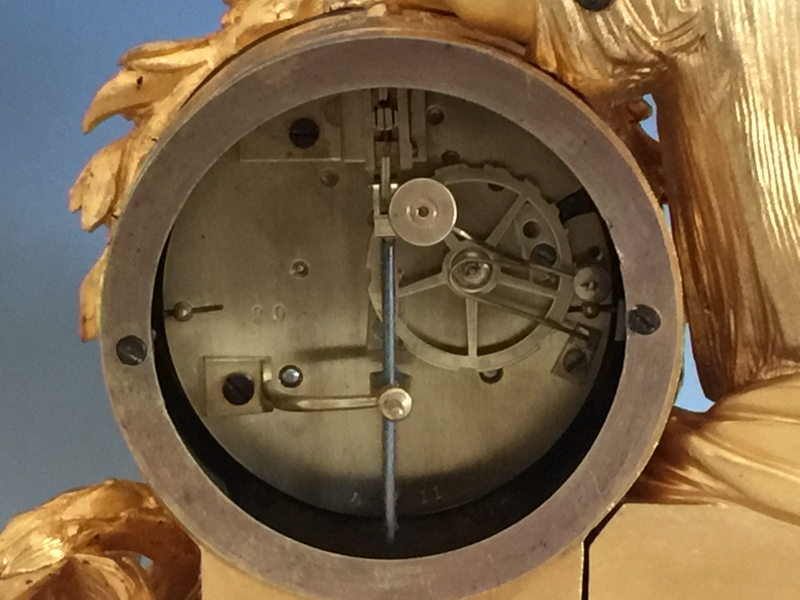 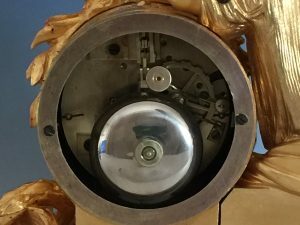 The eight day movement with Brocot suspension striking the hour & half hour on a bell through a countwheel. 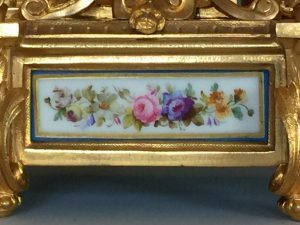 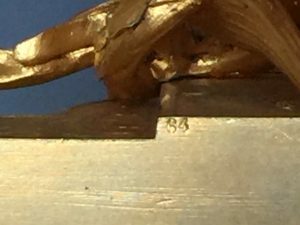 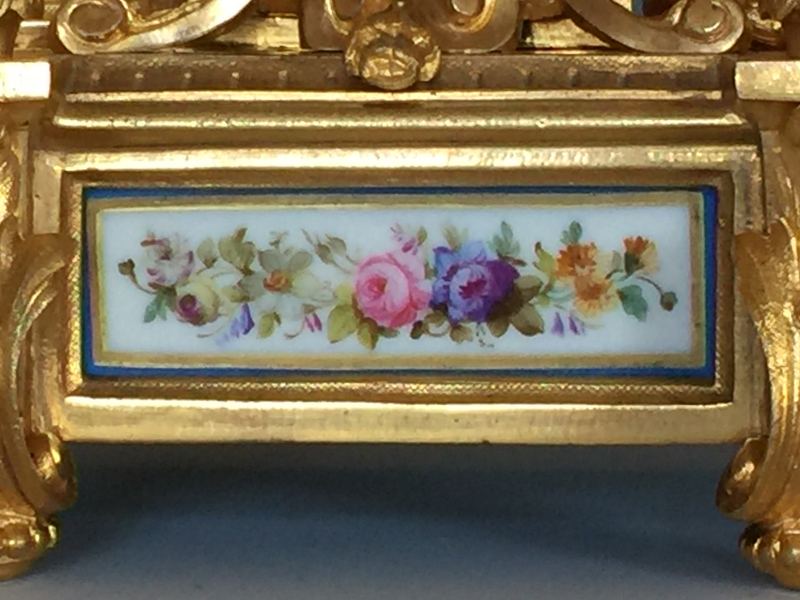 The case retaining the original gilding.